Cash is King, but having a multibillion-dollar industry rely entirely on it can be a struggle! The whistleblower, Senator Cory Booker pointed out an issue that lawmakers must mull over. He says businesses, even those that sell medical cannabis cannot obtain bank accounts, access funds or issue payroll – even in a place like New Jersey, where medical marijuana has been legal for almost a decade (since 2010). All these because marijuana is still classified as Schedule I under federal law. “People are literally sitting on thousands of dollars in cash because no banks will open doors for them. They are settling invoices, buying equipment and paying employees in cash, which is a very dangerous system,” Booker said. Advocating for the same, Sen. Bob Menendez says it is better to have a “legal, transparent process” than a practice where cash rules the day because the money is unbankable due to pre-set banking laws. The two New Jersey Democrat senators spoke at a seminar courtesy of NJ Spotlight in Pennington. Booker is backing the Marijuana Justice Act, which advocates legalization weed and obliteration of possession criminal records while Menendez’s bill looks to lay down marijuana banking procedures. Sessions has so far fought against legalization and any related efforts, even managing to reverse the 2013 Obama administration memo that begged for restraints on prosecution. But marijuana banking activists and lawmakers still stand their ground. “The Justice Department should now allow states that have decriminalized marijuana either for recreational or medical uses to operate,” Menendez said. The Health Commissioner for New Jersey, Shereef Elnahal agreed that amending marijuana banking laws will broaden the marijuana marketplace, more so if New Jersey decriminalizes recreational cannabis. “Obtaining capital is a major challenge for the medical cannabis dispensaries, and the existing laws only benefit the big players. So such reforms will diversify the market ensuring local entrepreneurs get support as well,” said the Health Commissioner. The group declared to go up against Trump administration attempts to “weaken the Affordable Care Act.” The bill could be a bone of contention in the oncoming New Jersey congressional campaigns. Elnahal announced that New Jersey would publicize the individual market and erect a command center to assertively advertise the next Obamacare enrollment period notwithstanding federal funding cutbacks to healthcare providers. 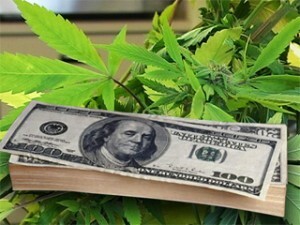 This entry was posted in Marijuana Banking and tagged Marijuana Banking by admin. Bookmark the permalink.